Brown Panther was second in the Irish St Leger when he suffered fatal injuries. Brown Panther was put down today. 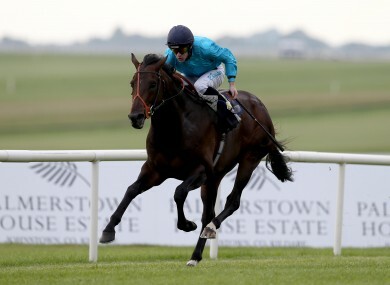 BROWN PANTHER, the classic winning horse owned by former footballer Michael Owen, has been put down after sustaining an injury at the Curragh this afternoon. The seven-year old was pulled up by jockey Richard Kingscote midway through the Irish St Leger when he was sitting in second place. It was later confirmed that the horse — who won the race last year — had suffered fatal injuries. Brown Panther had won 11 of 28 races and finished second in the British St. Leger. He was returning to action following a lay off with a leg injury. It was a better day at the Curragh for Irish trainer Aidan O’Brien whose mounts won all three Grade 1s. Email “Michael Owen's classic-winning horse put down after Curragh incident”. Feedback on “Michael Owen's classic-winning horse put down after Curragh incident”.